Sure, Mother’s Day precedes Father’s Day by over a month, but if you are the type who likes to plan ahead, now is as good a time as any to start thinking about it. Many people take the easy route: get the dad in your life a card, make him a steak for dinner and let him lounge around watching sports for the day. There’s nothing wrong with doing it that way, per se, but if you want to make this year more special, you need to get creative. There are basically three categories of gifts you can give: experiential gifts, physical gifts and food. Experiential gifts – as you can probably tell – are where you give an experience as a gift, such as taking them to a golf course, a hockey game, or out to do an activity of some kind. Physical gifts are what you normally think of when you think of presents: objects, like a new kitchen gadget, a power tool, or any other thing you can wrap up in a box. Finally, food gifts are when you either make a meal for them, or get them something edible for Father’s Day. This post will follow those three broad categories, offering up fun ideas for ways you make this June 16th a Father’s Day to remember. 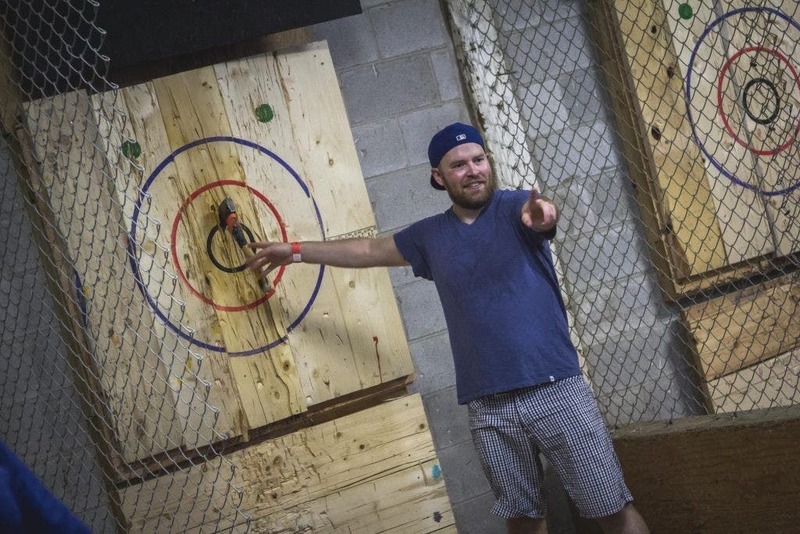 Leave the kids with a sitter, and see what axe throwing is all about on Father’s Day. This trendy new sport, which involves throwing axes at wooden targets, is a potent mix of thrills, skills and stress relief. In other words, it is perfect for Father’s Day. Sometimes, experiential gifts work best when you let them do it on their own. Book that special dad in your life a game at a prestigious golf course, somewhere they don’t often get to visit. Better yet, coordinate with his friends’ spouses to ensure that all the guys can go together. Here’s one for the whole family. Get tickets to go see dad’s favorite team in action, and get into the team spirit with matching jerseys. It doesn’t matter if the game doesn’t fall right on Father’s Day – if that’s the case, just give him the tickets as a gift on June 16th. He’ll still be absolutely thrilled. 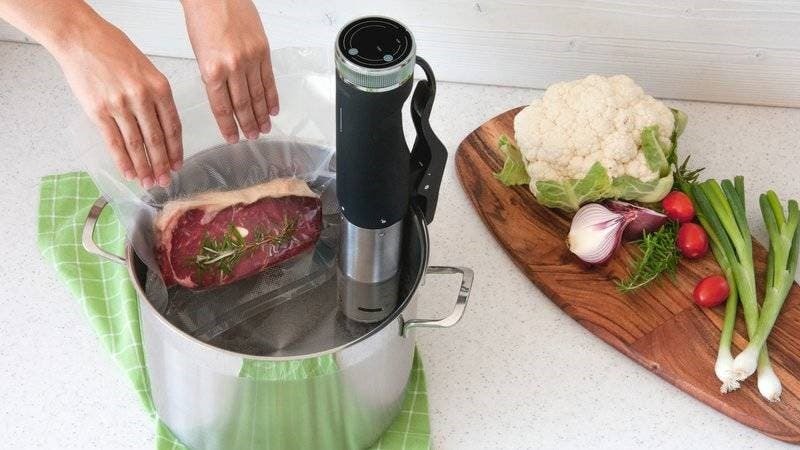 Better known in men circles as “that machine that lets you cook a perfect steak every time” a sous vide circulator is the Father’s Day Gift that keeps on giving. If you’re unfamiliar with the concept of sous vide, it’s a device that accurately regulates water temperature, so you can cook a vacuum-sealed steak to perfect temperatures. It’s perfect for any foodie! For the dad who has it all (tool-wise, at least) the best thing you can get him is a place for all those tools. The packouts from Milwaukee brand tool accessories are top of the line for storage, and were voted one of the best Father’s Day tool gifts on the Pro Tools website. If you’re stuck for which model to buy, consult this handy list from Business Insider of the best electric razors on the market. While this idea isn’t as much as axe throwing, don’t forgot that many dads love physical appliances. Traditional tool boxes and saws are always welcome, but other products that help improve his quality of life, like a water filter system, could be a great gift… for the right person. Not every dad needs to get a new water dispenser to celebrate all things he does for the family, but some dads would generally appreciate having a fresh water source in his man cave or garage. 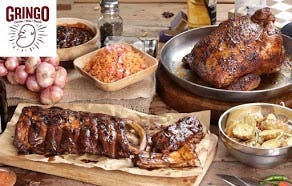 When giving a meal as a gift, it’s important to rely less on the stereotypical Father’s Day foods, and more on the special foods that dad likes best. One size fits all foods like steak might satisfy, but they don’t show a lot of care and thought. Ask yourself, what is his favourite food? And further than that: what’s his favourite food that he doesn’t eat very often? Making him a meal centred on his unique tastes and desires shows him that you care. No matter what your dad likes to eat, chances are that we would love to get a new BBQ or outdoor cooking appliance. While these naturally range in price, other cool options include getting him a new device, that he doesn’t have, like an electric smoker. These are generally more affordable than BBQs, are easy to operate and produce some great results. Teach a man to fish, and he can feed himself, you know the old saying. Well, get dad an electric smoker, and you may find yourself with delicious brisket and smoked meats in your fridge! For the best results, try a combination of a couple of these above ideas: cook him a meal he loves and then go axe throwing; or give him tickets to a sports game packed inside of a packout. Showing that special father in your life how much you care about them might take some planning, so it’s best to start early!